We are grateful for the generous support we have received for our Mountain Bird Festival over the last three years. The Mountain Bird Festival is a valuable conservation education event that has measurable benefits for KBO, our local community, the birding community, and bird and habitat conservation. Your support and participation has been instrumental in the success of this unique conservation event. 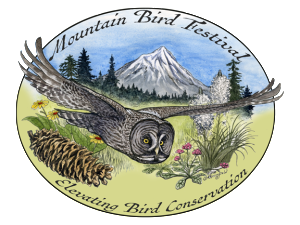 We want our Festival participants and partners to be the first to know that Klamath Bird Observatory will be postponing the 2017 Mountain Bird Festival. After careful reflection on our 1st three years of putting on the Festival, we believe a hiatus will be help us to take steps that will markedly improve the Festival and ensure that its benefits continue to increase for all involved. During this furlough KBO will continue to advance the mission of the Festival, Citizens and Science Advancing Bird Conservation through our Community Education Program. With the spirit of this mission in mind we will be planning a Mountain Bird Night for 2017, with a keynote speaker, possible field trips, and the unveiling of our 2017 Conservation Stamp Set, including the 2017 Klamath Bird Observatory Conservation Science Stamp and the 2017-18 Federal Migratory Bird Hunting and Conservation [Duck] Stamp. This event will be open to the public with the purchase of the Conservation Stamp Set, the proceeds of which will go directly to advancing conservation locally and nationally. Stay tuned for more details. 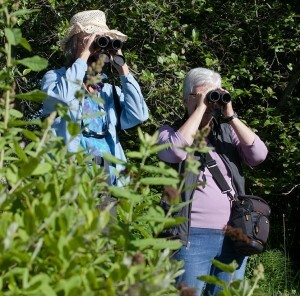 Klamath Bird Observatory’s Community Education Program will also continue to remain active. 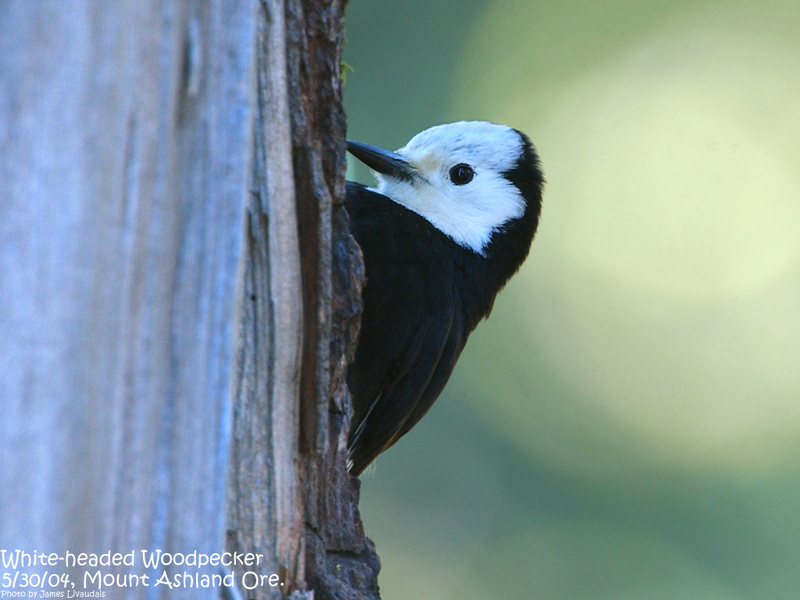 We will be participating in other community celebrations, such as Rogue Valley Bird Day. Additionally, our Talks and Walks program continues to offer a variety of conservation education activities. As in past years, we will also be providing other special events and trips. We appreciate your faithful support and understanding as we take this time to enhance our yearly event. We are certain our next Festival will be well worth the wait. Klamath Bird Observatory receives the world’s first Mindful Birding Award for its efforts to promote a Mindful Birding ethic, and the role of birdwatchers as significant conservation actors, through its inaugural Mountain Bird Festival that will be held in Ashland, Oregon from May 30th through June 1st, 2014. 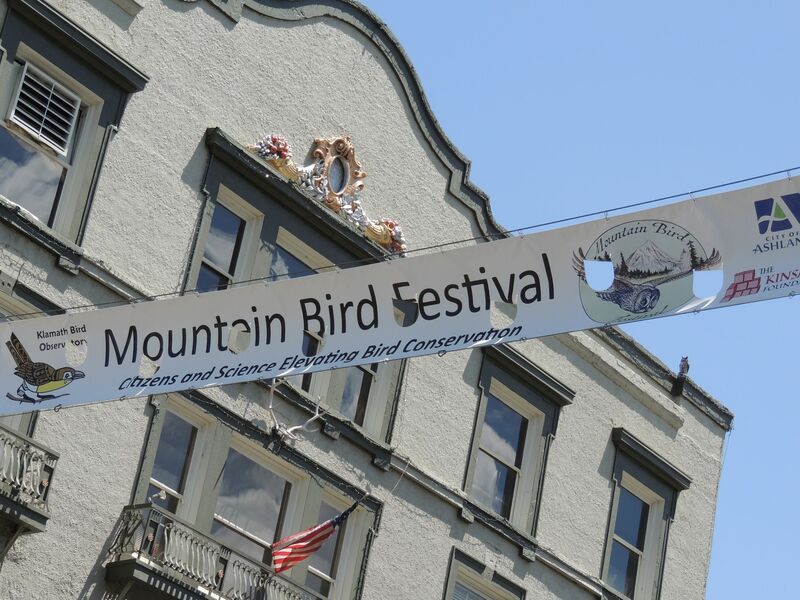 The Mountain Bird Festival combines a celebration of the Klamath-Siskiyou Region’s spectacular mountain birds with the stewardship ethic needed to ensure thriving landscapes for humans and wildlife. Mindful Birding recognizes that bird watching, by nature, is an outdoor activity that connects participants with nature through an appreciation of the magnificence of birds. 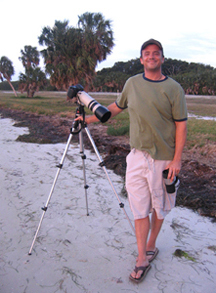 With this recognition of the inherent value of birding, the Mindful Birding ethic encourages bird watchers to be mindful toward wildlife, mindful to safety and other people, and mindful of their own birding experience. With such consciousness it is believed that bird watchers will carry a Mindful Birding ethic from the field into their everyday activities, becoming even stronger messengers for and supporters of conservation for birds and people. 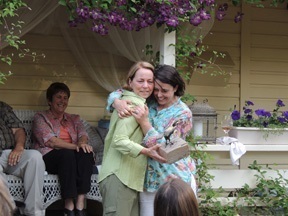 The Morrissey Family Foundation issued this first Mindful Birding Award in recognition of Klamath Bird Observatory’s efforts to promote birding ethics and conservation through the Mountain Bird Festival. 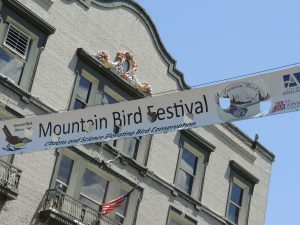 The Mountain Bird Festival is a unique community conservation event that celebrates the globally outstanding Klamath Siskiyou Region, recognized for its abundance of different habitats and species. The festival offers two days of field trips that will search for mountain bird specialties, such as White-headed Woodpecker, Mountain Quail, Calliope Hummingbird, and Great Gray Owl. The festival also features a fine art auction, live music, local foods and beverages, cocktail parties, and stimulating evening presentations. 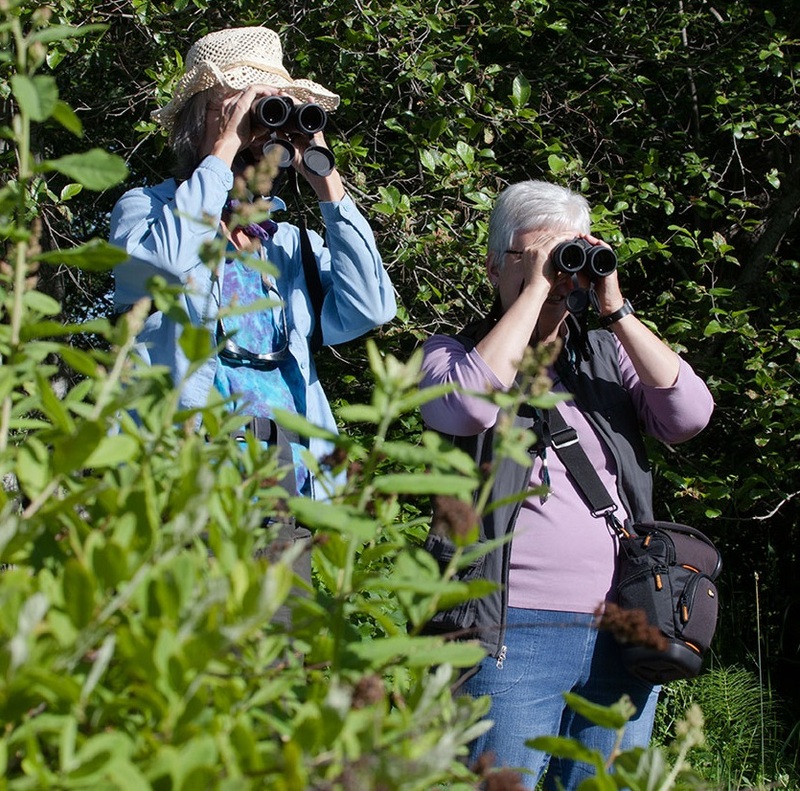 Klamath Bird Observatory will distribute specific Mindful Birding guidelines to festival attendees and provide training to field trip leaders, who will encourage Mindful Birding practices on field trips. 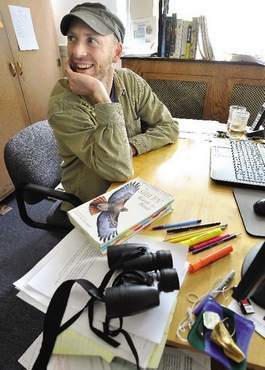 Klamath Bird Observatory is hosting the 2014 Mountain Bird Festival in partnership with the City of Ashland, the Ashland Chamber of Commerce, ScienceWorks Hands-On Museum, and many other organizations. Click here to access a PDF of this press release. Klamath Bird Observatory’s inaugural Mountain Bird Festival received coverage through the article “Birding Bonanza” featured on the cover of the Outdoor Section of the Medford Mail Tribune on Friday May 23rd, 2014. The article describes one of the festival’s field trips that has a high likelihood of encountering the magnificent Great Gray Owl. 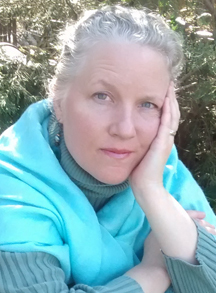 The article also describes the conservation focus of the festival. KBO Executive Director John Alexander is quoted, “Birds are indicators of forest health and indicators of our well-being. Birds tell us a lot about what we can do better with our natural resources.” Festival participants, while birdwatching, will collect a wealth of information on the distributions and abundance of over 100 birds species during the 3-day festival. 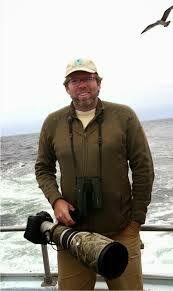 This information will be entered into eBird Northwest, a regional portal of the eBird program, and this information will provide knowledge that we can use to become better stewards. Read the full article on the Mail Tribune website by clicking here. Read a PDF of the full article by clicking here.